How do Sales and SEO relate to each other? And why would a company offer both Search engine optimization services and Sales programs? Because, sales professionals and small business owners can spend up to 80% of their sales effort on generating leads. And SEO is a very good way to reduce the dollars and time spent finding prospects. The best thing a business can do to increase sales numbers, is increase the number of leads coming in. That means more time is spent in front of a prospect instead of finding them. Then they can go to work on converting more leads into customers. So, in our sales programs the first thing we look at is how to generate more and better leads (unless a company has plenty of leads) . SEO and pay per click (until the Internet Marketing kicks in) can provide a great start in this process. That’s how we as a company got involved in search engine optimization, through developing sales leads and process. The very same reason many of you as business owners are looking at SEO. We think this gives us a unique view of Internet Marketing that can help you achieve your sales goals. We don’t view SEO or web popularity (as we like to call it) programs as stand alone systems. It needs to be part of your larger sales and service plans. Feel free to view our sales programs on our site and check out the client comments as well. A client calls a few weeks ago. He is interested in expanding his inbound marketing through more web visibility work, and adding content to his web site. His site is currently in the number one position on Google and Bing for the targeted audience, and well represented through out the local web community. He is very happy. We give him a assessment and proposal to add content and do some additional work to make sure the new service is well ranked on the search engines. He does mention he is looking at one other option, which I think is fine. One should always check out options when buying. This is what I call the Voice of Saruman syndrome. 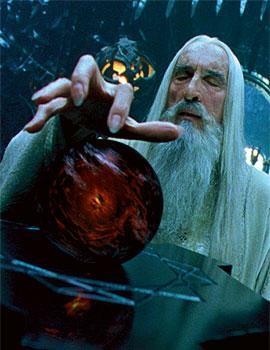 Remember Saruman the wizard from the Lord of the rings? 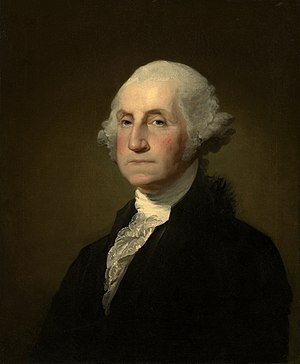 Anyone listening to his voice (with the exception of a few very powerful other wizards and such) came under his spell, and would be convinced what he was saying was the truth and very powerful. It happens so often in SEO and many other areas. SEO and I.T. seem to have a larger share of Saruman’s out there convincing businesses that their magic is the best magic. Perhaps it’s the nature of the business. What is strikingly odd is this client really understands price and quality. We have discussed how his service isn’t cheap, and how he won’t lower his standards to offer poor work for low dollars. Yet he listens to the voice of Saruman. Here is what I advise , and the principle I use in business when selecting a service. First, if what I have is working I am not very likely to change. If I am approached, I always ask this question, can you provide me with just 3 local accounts you have that will tell me what you are saying works. That seems to knock out the VAST majority of bad decisions I might make while under the spell. I should note this client is continuing with us on his existing service. I mean, you can not do much better than the number one spot. The fastest way to generate leads is to improve your closing percentage (conversion rate) on the leads you get now. The reason? The amount of marketing dollars you have depends on the number of leads you close. If you close 50% more (moving your closing percentage from 25% to 50% as an example) you will be able to afford twice as many leads. Best leads sources? Depends on what you sell, who you sell to, and your margins on your product. The larger the market the more options you have to reach it. The larger the margin, the more money you have to reach it. The better your conversion rate, the more leads you can generate. That’s why we start with conversion rates when working with a sales client on lead generation. The number one return on investment in advertising for lead generation is SEO services. Thats why we provide them to clients. The number one return on investment tactic in sales is relationship building. But, as with all tactics and lead generation it is limited. You need at least 10 different lead generation tactics going at all times to insure you have lot’s of new customers, or returning customers. I will go into more detail on what those could be (specific to the Denver market, but gennerally effective nationwide) in my next few blogs. Need to make more sales? Read on! I just finished listening and viewing a 90 minute webinar about the “science” of in home selling. I have a lot of clients who sell to the home owner, so keeping up on any new and interesting “science” is always good. Let’s just say the content was about, ummm, 40 years old. It’s been a long time since I heard about the “one more thing” close. Or as it evolved (around 1980) into the Colombo close. I really hope that as a profession we “sales pro’s” can move past some of this stuff. Therefore they were more popular. Did Obama look, sound, and feel better than what’s his name? Yes! (These are in no way political statements!) I also look at it like this. The person who gets elected in this country is always the one that the majority of people would rather have living on their block. Really. I am not joking. So if you want to sell more, you need to look better than your competition, sound better, and feel better to your prospective clients. How do you Sound? Confident, Organized, Interesting? How do you feel? When you leave are they going to say… I just feel like they know what they are doing and they’re the right choice. I want to give you more on this later, but this may be a great help to the non-professionally trained business owner or manager who now needs to sell to survive. You don’t need to know 14 different ways to overcome objections. You don’t need to know 25 different style closes. (Although you really should know one.) And you don’t need to be high pressure. You just need to Look, Sound, and Feel better than the other guy. We do sales coaching, and are asked whats the difference between sales training and sales coaching. The first big difference is sales coaching is done with a business owner, or senior executive, and has a much broader scoop. When we do sales training in Denver it’s very much like a football coach working with a position player. Sales coaching we are working with the coaches, and we start on the play book. Sales coaching unlike sales training Denver, starts with the number one opportunity to increase a companies sales, their service or product offering, and at times, it may re write the entire “playbook” a business uses. How they approach the market and what they comminicate will have a larger effect on revenue than sales training in Denver. Sales Training in Denver will focus on the sales skills of an individual, or team, but, if the product or service they are selling isn’t compelling, or very competetive, there is little point in it. 5stepsalesjumpstart.com is a joint venture with my brother Chris and myself, offering on line sales coaching. It’s guaranteed to increase your company’s revenues. We spoke about our conversion meter system in the last blog, and I promised to write some more information about it. It’s simple, and if you apply these tactics to your product, your sales conversion rate will increase fast. When it comes to SEO (search engine optimization) services the fear is pretty easy to figure out. Clients fear that 1. It won’t work. 2. It will work but they won’t get many new sales to cover the expense. And 3. that they don’t have enough money in the budget to do the program. The interesting thing about doing all of that to address and get rid of fears is, you will usually make more revenue and profit when you go the extra mile. We charge more on performance based programs, and we charge more on payments plans. So over time, you end up with a higher margin. The next big thing in your improving your closing percentage is talking and presenting the stuff your clients WANT! Selling what they need will kill your sales fast. I will write aboyt that in the next few blogs.